There's nothing better than a FREE feed! 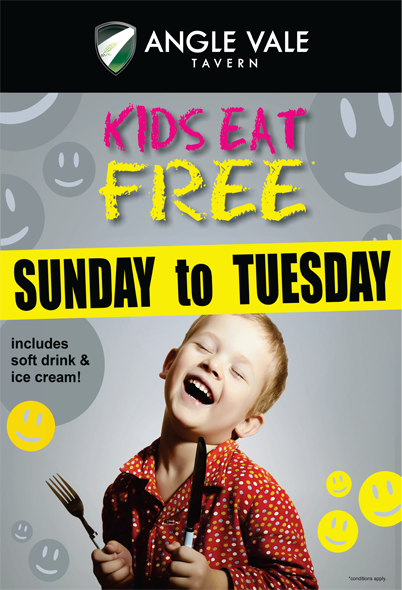 Get down to the Angle Vale Tavern Sunday to Tuesday, and you children eat FREE. Support one of our valuable Sponsors, and don't forget to mention we sent you!